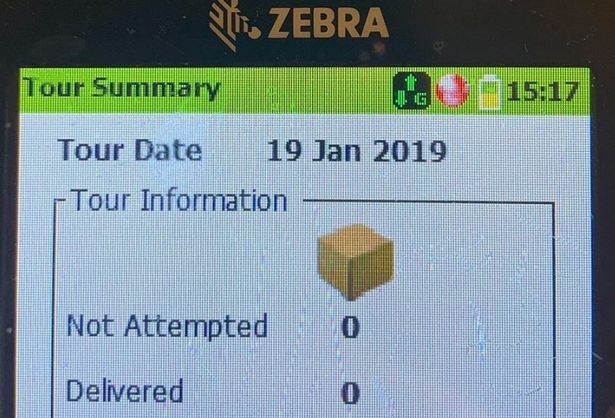 Yodel bosses used their own couriers to deliver sacking letters to self-employed, neighbourhood delivery drivers in Gloucestershire yesterday. Self-employed drivers expecting parcels to distribute on Saturday morning were instead given letters saying their services were no longer needed. Ironically some of those delivering the letters are themselves facing being dumped by the courier company. The news came as a shock to couriers, some of whom have been delivering parcels for Yodel for many years and have just completed the busy Christmas period. They get paid per parcel but cover their own costs, including petrol and insurance. Taxi driver and local councillor Mark Turner is one of of several Yodel delivery drivers in the Forest of Dean and he was given a letter out of the blue at 9.30 am on Saturday which said his services were no longer required. “I've worked for them about 15 years, six days a week and I’ve rarely had time off,” he said. “We were waiting for our parcels to turn up today and had that letter hand-delivered saying that's it. No warning just that’s it! “The poor lad who delivers our parcels brought it instead of the parcels. He had one for himself too as he's no longer needed. The letter says that, under the courier agreement, Yodel does not have any obligation to offer them work and those at the Quedgeley-based service station cannot be expected to get any more for at least 10 to 12 weeks. “Having recently reviewed our projected volume, and with the implementation of a new tour plan, it has been identified that Yodel has the ability to absorb volume into its Man In Van (MIV) operation at your local service centre,” said the letter. “This means that is unlikely that any work will be offered to you by Yodel for an interim period." It says the volume will be subject to a further review in 10 to 12 weeks after which Yodel will contact couriers if there is any work available. But drivers do not think it is simply a post-Christmas lull because the letter advises couriers to look on the website for alternative self-employed work and to give back their hand-held terminals to the company. The letter, which thanks couriers for their services to date, does not have a contact number and simply advises the couriers to address any questions to their service centre representative. Several months ago the company announced it would be launching 'Inflight services' which allows customers to send the carrier instructions after they’ve left the retailer’s check out. Yodel are also recruiting self-employed van drivers and offering to arrange leases for those who did not have their own vehicles. It is not yet clear if the same thing is happening nationally but the company website has been shut down for maintenance work ahead of a new system being introduced on Monday. GloucestershireLive were told “no comment” by the local Yodel office in Quedgeley and have asked the head office for comment.